The big room, the smell of clean sheets which were white. Nice kitchen and even 2 TV. There were also other accommodations like sauna and fitness but we did not have time for that. The front desk staff was very nice and he helped us a lot the room wa big and has every thing to make your trip comfortable. All things. I will be back to this property for sure if I visit Istanbul. Fantastic location with great facilities, staff are fantastic particularly the gentleman at the reception. 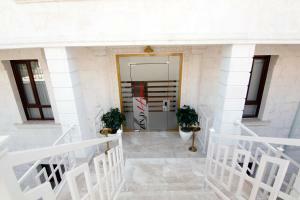 The property is located in affluent part of Istanbul. Easy to travel to any part of Istanbul with great local shops. 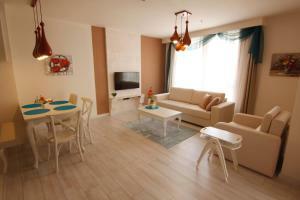 The property is well maintained with all the Mod cons. WiFi control heating, TV, lighting and great security. I will recommend this accommodation to all as it’s great value for money. The staff was excellent and the people in the area are nice in the neighbourhood. apartment is new and all facilities are new and good. apartments has good space. staff can speak English. Excellent place to stay. Ali was very helpful and gave us tips of where to go. Suliman thank you for everything. Susan thank you for your help. Okay hotel, good comfy rooms. But no baby crip. Staff does NOT speak english at all, the day shift guys are very rude. Great hotel, lovely staff, extremely clean, modern and comfortable. Lock in a great price for Zin D Home – rated 8.4 by recent guests! 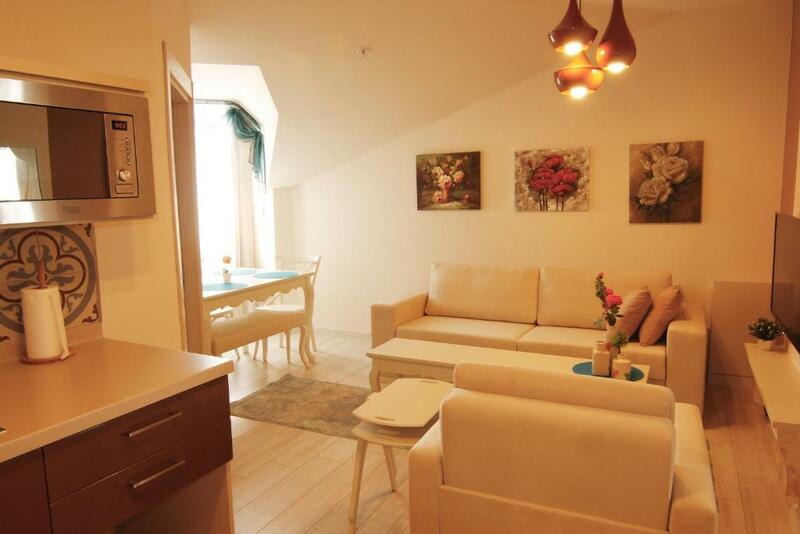 Located in Istanbul, Zin D Home provides accommodations with free WiFi, as well as access to a sauna. Each unit is fitted with air conditioning, a private bathroom and a kitchen. A dishwasher and microwave are also available, as well as an electric tea pot. Guests at the condo hotel can enjoy a halal breakfast. Zin D Home offers a range of wellness facilities including a fitness center and an indoor pool. Maiden's Towers is 10 miles from the accommodation. 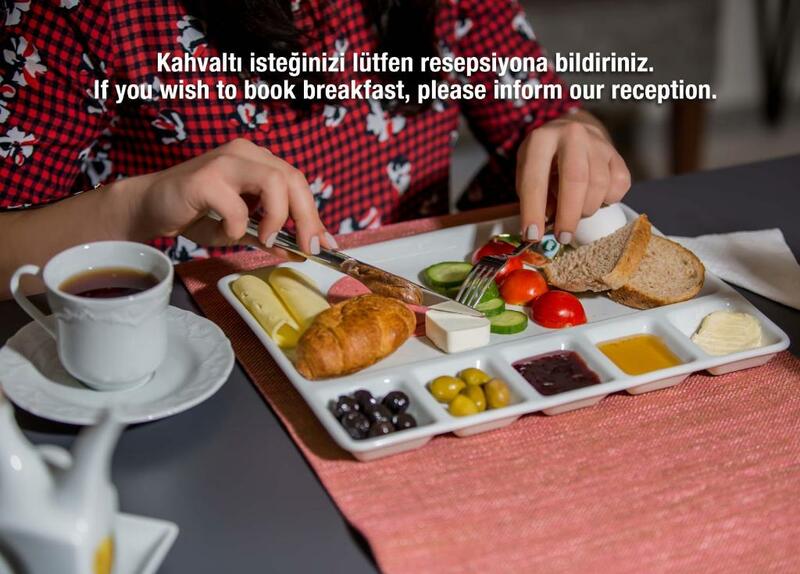 The nearest airport is Istanbul Sabiha Gokcen International Airport, 16 miles from the property. 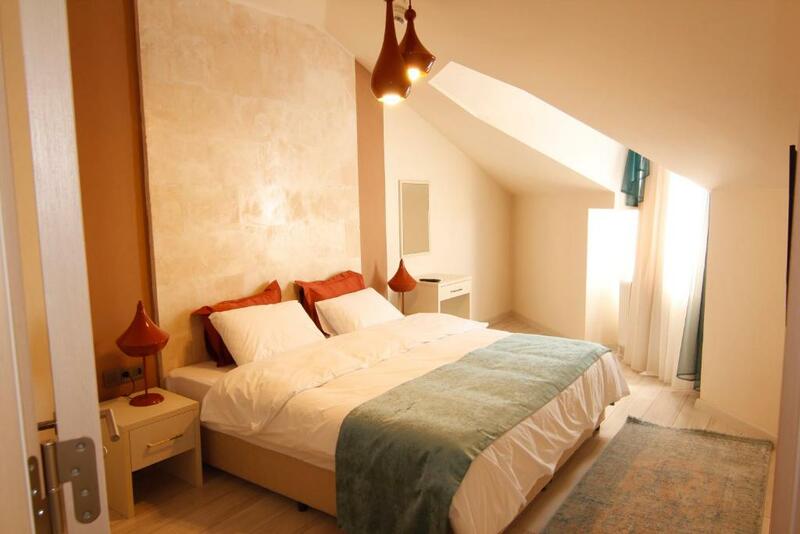 When would you like to stay at Zin D Home? This apartment has a bathrobe, tile/marble floor and kitchen. This apartment features a sofa, air conditioning and washing machine. 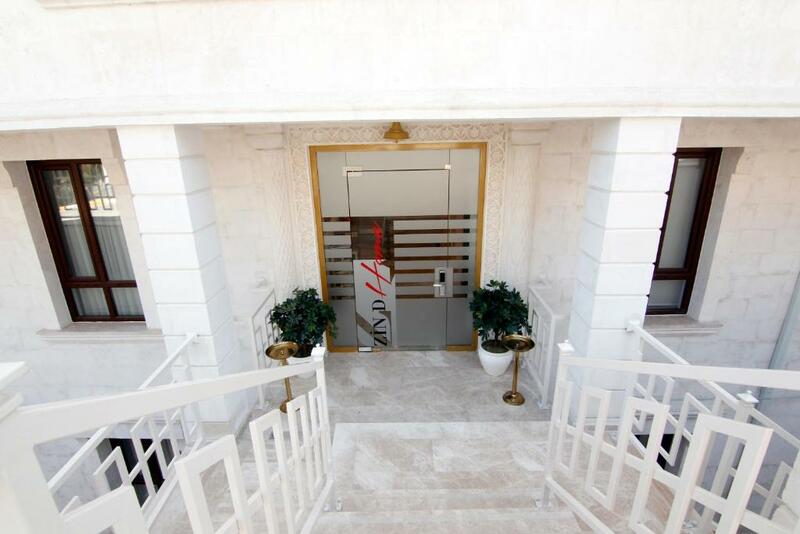 ZİN D Home offers the renting and purchasing opportunity for the guests and family members who require short and medium term residence within the safety and cleanliness of a family environment by receiving more than the care and service expected from relatives and servants and being closer to their relatives but living in their own homes. Midyat Katori Stone applied to both outer façade and apartment interiors of the building by being processed by the stonemasons who are specially brought from Mardin. 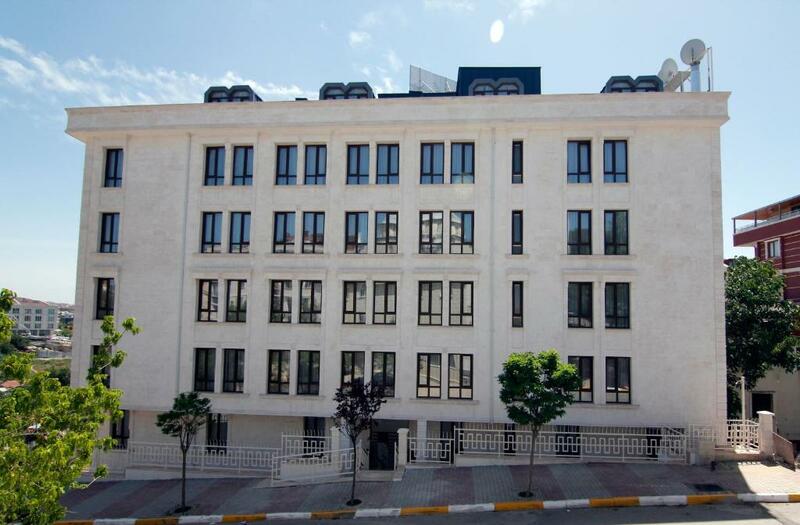 Midyat Katori Stone which is the main element of the buildings which stands strong for thousands of years adds value to ZİN D Home with its aesthetical look as well as its property of keeping warm in winter and keeping cool in summer. We offer technology and comfort in our specially designed apartments in which neoclassical architecture is used. All of our apartments and building entries are equipped with electronic door systems which can be accessed via a password only known by our guests; along with the opportunity of accessing via magnetic card or key. Our building has an indoor swimming pool, fitness hall and sauna which are assigned to the use of only our guests. House Rules Zin D Home takes special requests – add in the next step! Zin D Home accepts these cards and reserves the right to temporarily hold an amount prior to arrival. I have booked the double room apartment, which was not available at the time of our arrival, so they kindly offered us two one room apartments, which is not very convenient for a family with small kids. 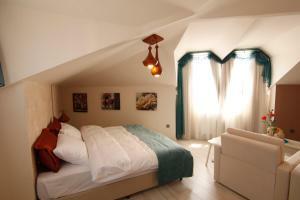 Friendly service, clean apartments, stayed here twice perfect room, bathroom clean. Staff went above and beyond, very helpful, very comfortable. Would stay again, great. Only disappointed was the sound of loud speakers from the mosque opposite but you will get use to it after a day or so. The staff didn't come to the room and therefore didn't give an explanation how everything works. That should be better organised. Clean, good beds, good bathroom, just a good apartment with everything you need. And parking next to the building, wonderful. Not to forget, the little supermarket just across the apartments where you can buy anything you need for breakfast and lunch. 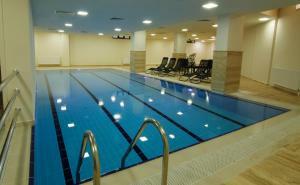 The swimming pool was deep for the children so if I am suggesting if they can gix it for the children. And the lift is sometimes broken . The elevator stop working many times during my staying there. The fridge makes ice and not working well. They don't clean the room daily. They added an additional floor but without elevator, and gave me a room in it. They rejected to replace the room because they are fully occupied. Very few staff and not sufficient. Booking. Com, Please validate the rating you are giving to hotels. Otherwise you will affect adversely your credibility. apartment is new but nobody comes for cleaning, i stayed 6 days without cleaning our apartment. gym and swimming pool are very dirty especially bathrooms. nobody available to help you with your luggage, you should depend on yourself. no good restaurant in location. difficult to find parking at night.